Baby squid in its own ink, an emblematic and exotic Basque dish. This is one of the most emblematic dishes in Basque cuisine, with one of the few completely black sauces in cooking throughout the world. 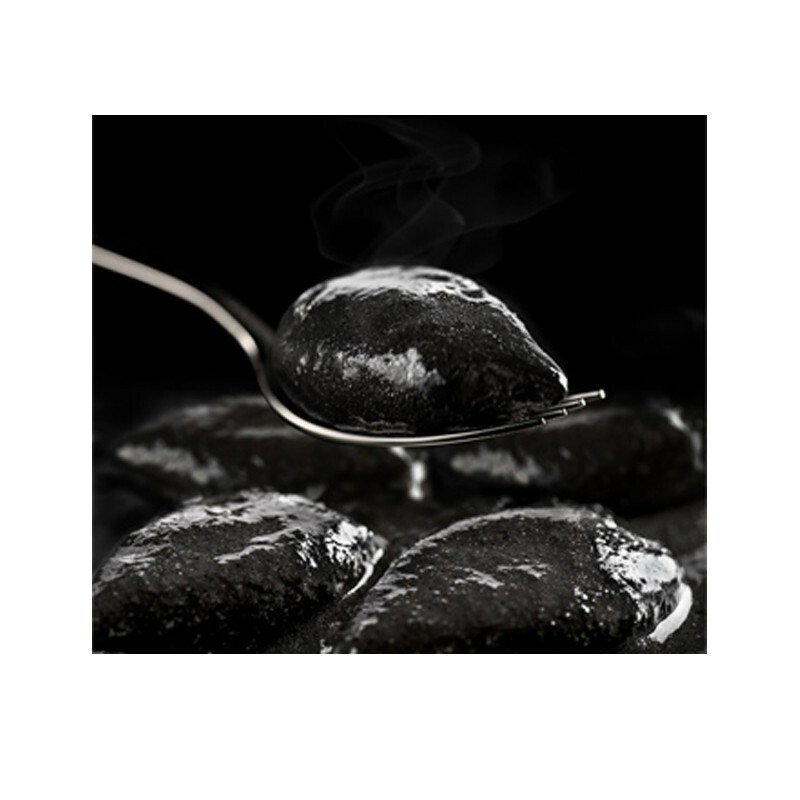 The black hue is rarely seen in cooking ingredients with a few brilliant exceptions such as truffles, black chilli peppers or black pudding. And in the case of squid ink, it has always been surrounded in mystery. The first question that occurs to us on seeing this dish is, who had the brilliant idea of adding the ink that these creatures use to defend themselves at sea to the stew, surely knowing that in its raw form, the ink is toxic? This property, however, disappears just by heating it. It has been said that it may have been born, not as a culinary dish, but as a rite linked to the practices of witchcraft. The second mystery is its geographical origin. There are those who claim that squid in ink is a local, Basque creation. But there are also those who attribute this recipe to Eastern origins, maybe from the Phillipines. The ingredients in this amazing sauce are onion, tomato, green pepper, ink, white wine, olive oil, garlic and salt. In order to fully enjoy this traditional, mysterious dish, we suggest that you serve it in an earthenware dish, accompanied by white rice.